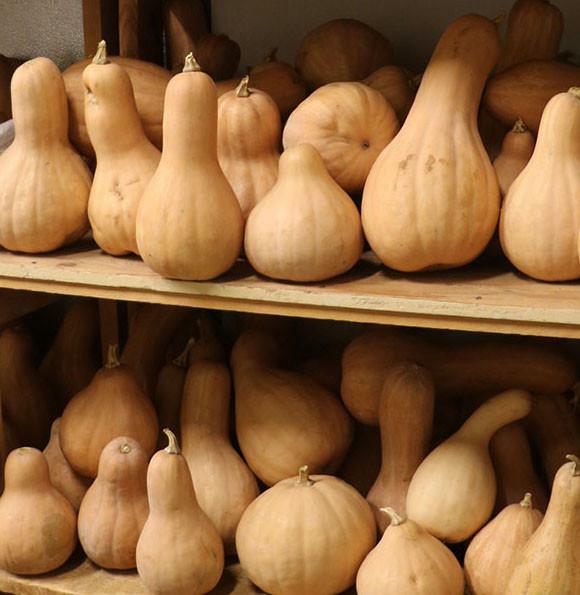 The wild squash of the Everglades. 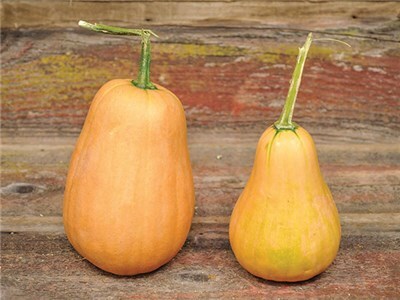 The round, lightly ribbed 3-lb squash have tan skin. The sweet flesh is deep orange, dry and of good quality. The productive vines are resistant to insects and disease. Found growing wild in Florida by early Spanish settlers, it can now only be found in remote parts of the Everglades. Plant like rich fertile soil. 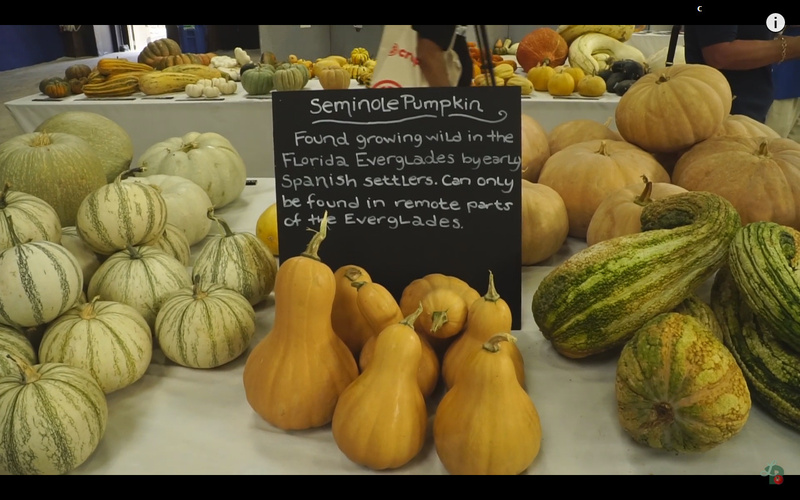 Seminole pumpkins are a cultivated variety (cultivar) of Cucurbita moschata; some other notable cultivars of this species include butternut squash and Calabaza. 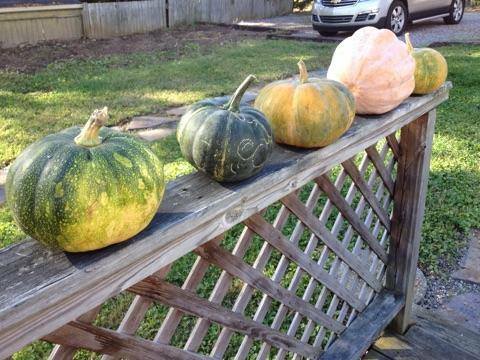 Seminole pumpkins come in a variety of shapes and colors. 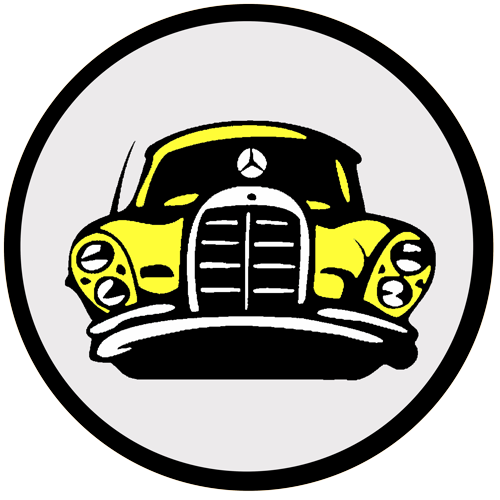 While generally rounded and dull orange, their appearance can vary�even on the same plant. 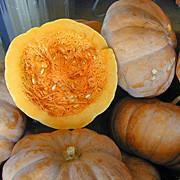 The inner flesh of Seminole pumpkins is orange and tastes like butternut squash, but sweeter. 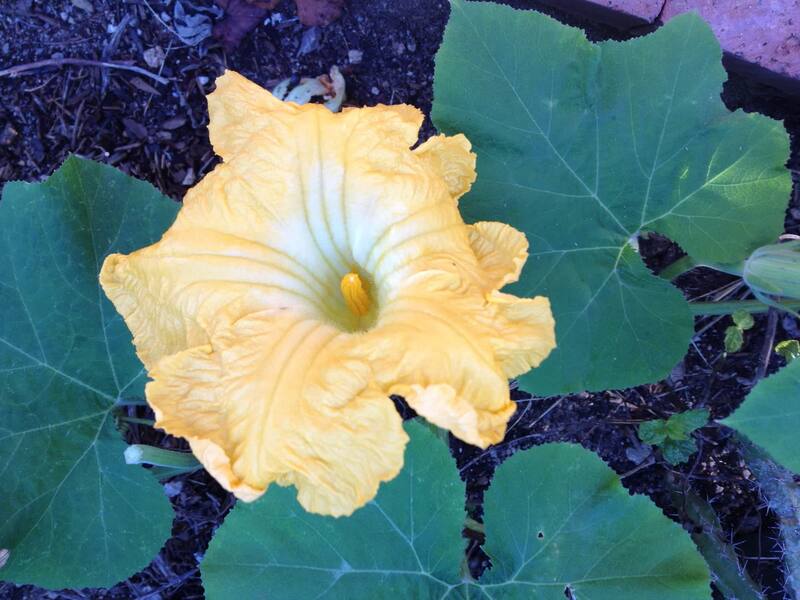 The flesh is firmer and less fibrous than that of a traditional jack-o-lantern pumpkin (Cucurbita pepo). 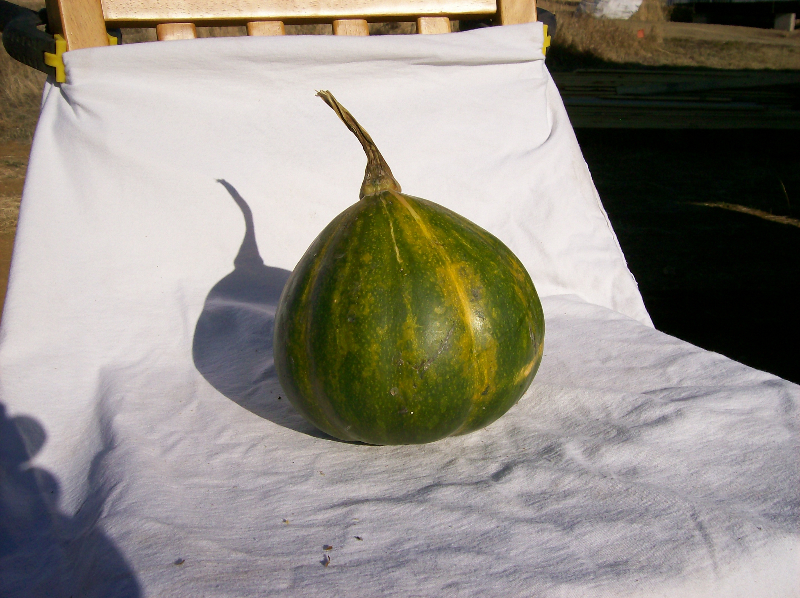 The mature fruits generally weigh 6 to 12 pounds. 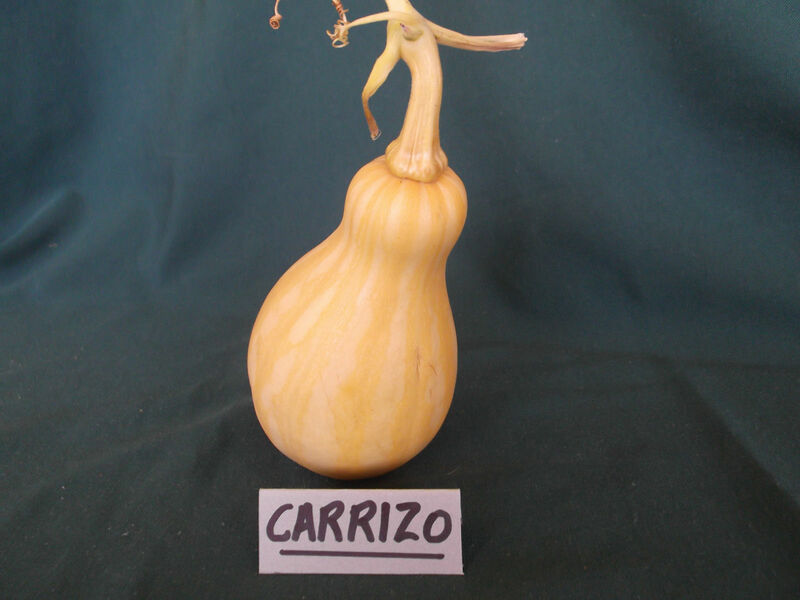 Good growing reviews, large fruits. 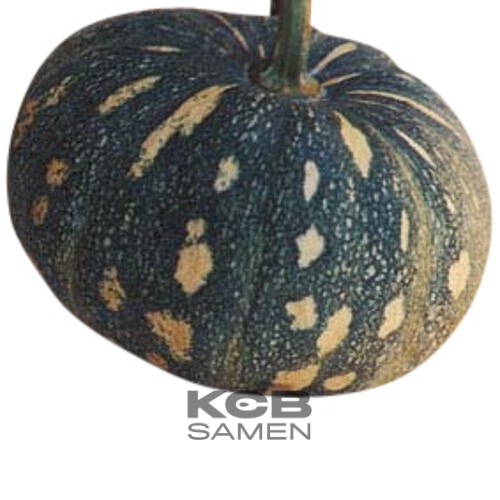 The vigorous plants produce an abundance of flattened fruits, slightly ribbed, of 5-7 kg. The epidermis is orange-ocher. 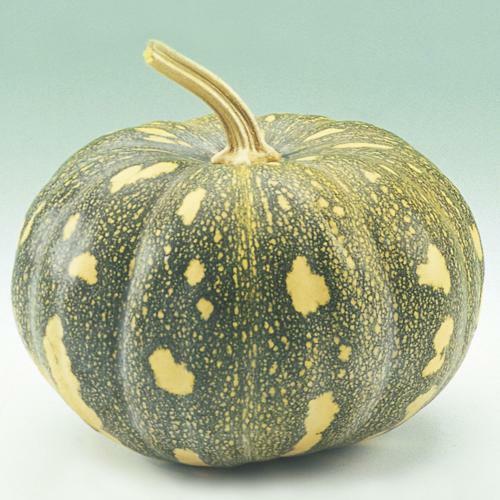 Also called Magdalena Big Cheese squash. Variety originally from Los Capomos, an ancient ceremonial village in northern Mexico. 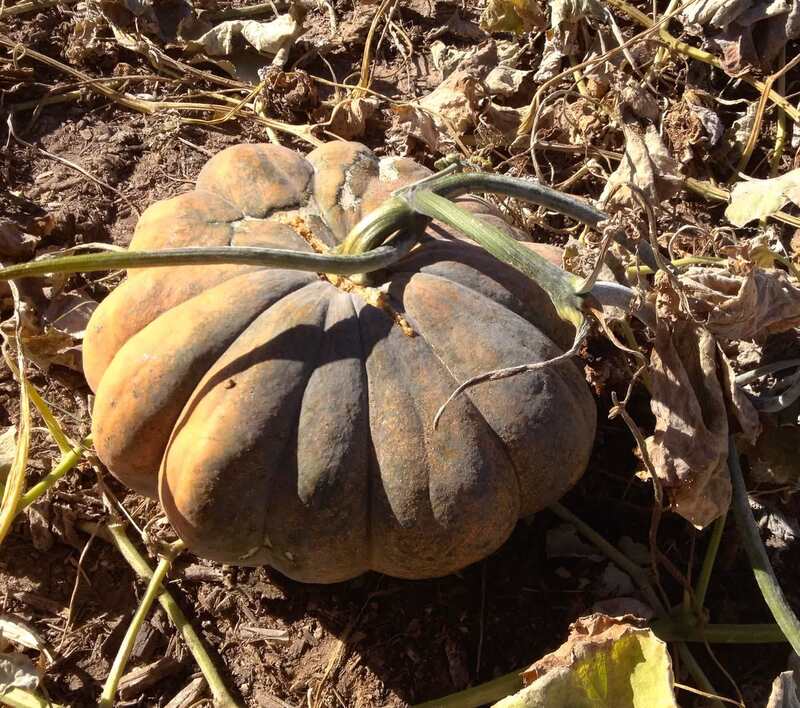 The seeds were recovered by the Native Seed association of New Mexico. 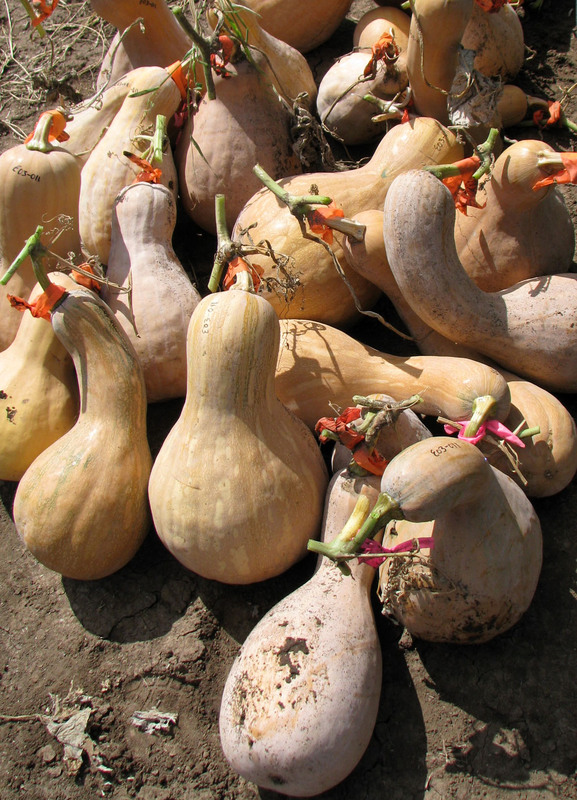 Variety that does not have a standard shape but is very variable in appearance. The epidermis is light green dotted. The taste is sweetened. 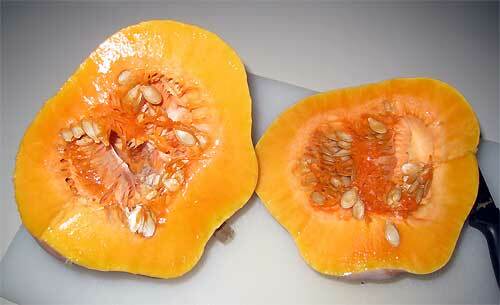 (moschata) A butternut shaped fruit with flavorful salmon colored flesh. Productive until frost. From a low desert location in Sonora, Mexico. 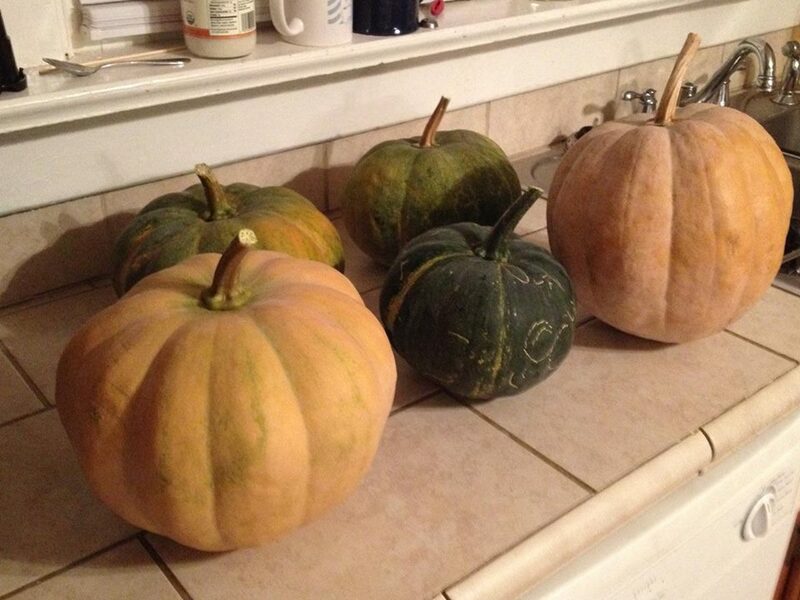 One of our farmer-partners grew a terrific harvest in Phoenix, AZ. Taste : Firm, bland, unsweetened. 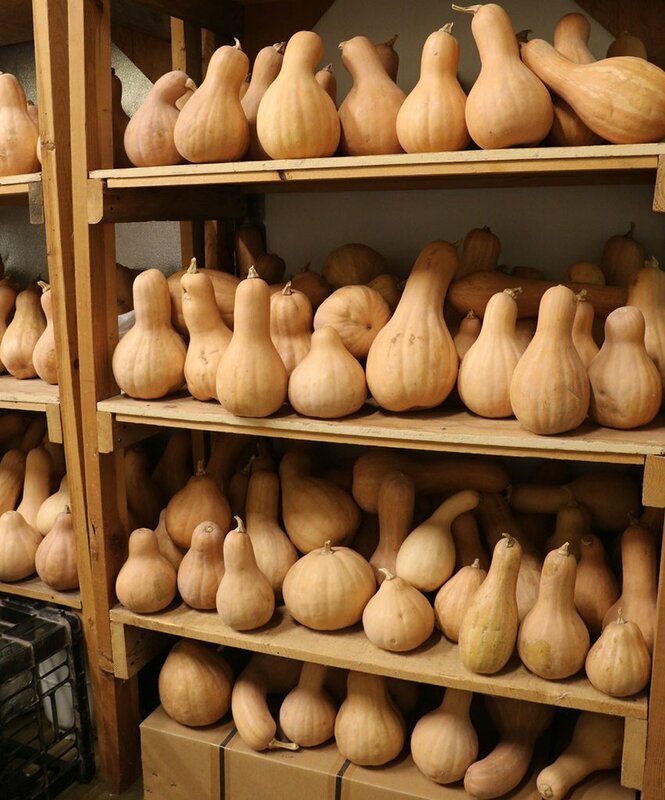 Native to the Sonoran Desert, enjoy Guarijio heritage squash as you would pumpkin or any of your favorite squash recipes. Ancient variety, originally from Arizona, hence the name of the native Hopi tribe. 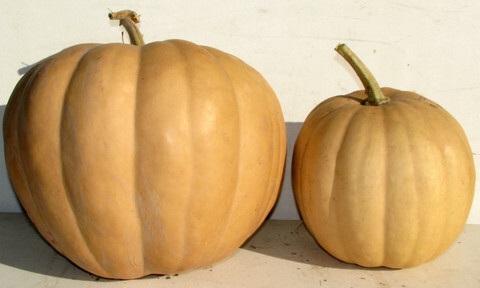 The shape of the pumpkins is of large flattened butternuts, weighing between 3 and 5 kg. Good conservation. 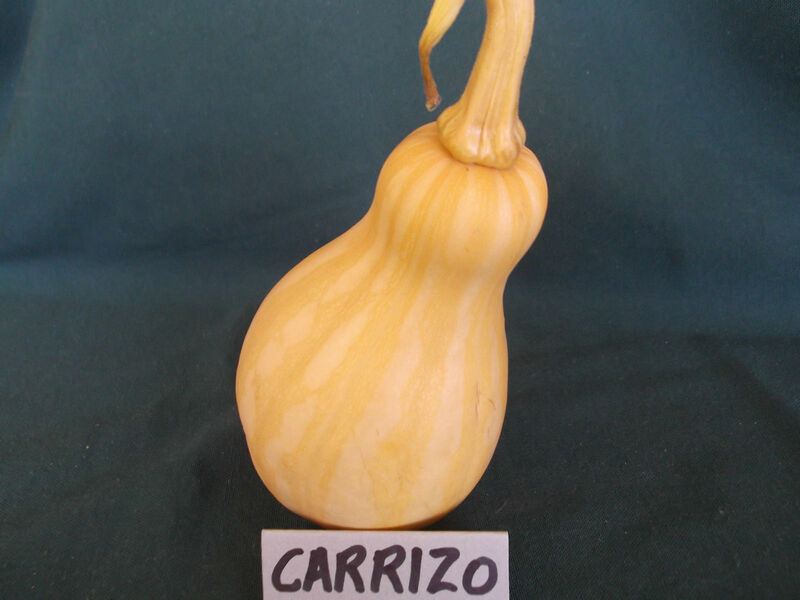 Carrizo is a Mexican heirloom variety, very popular in the region of Southern Sonora. 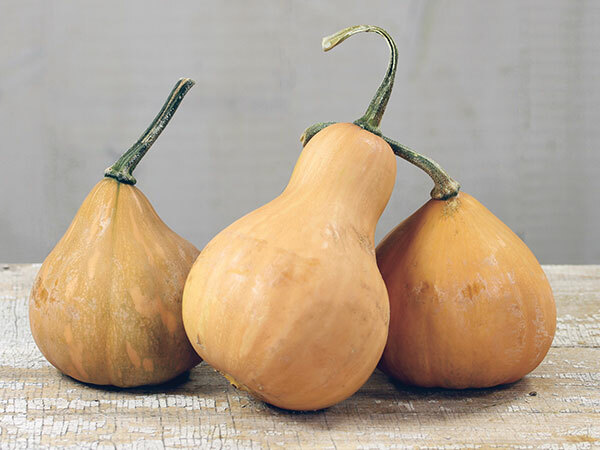 The fruit is a small butternut or short crookneck shape and size with very smooth buff coloured rind. The small vines produced fruit up to about1.3kg in around 90 days. 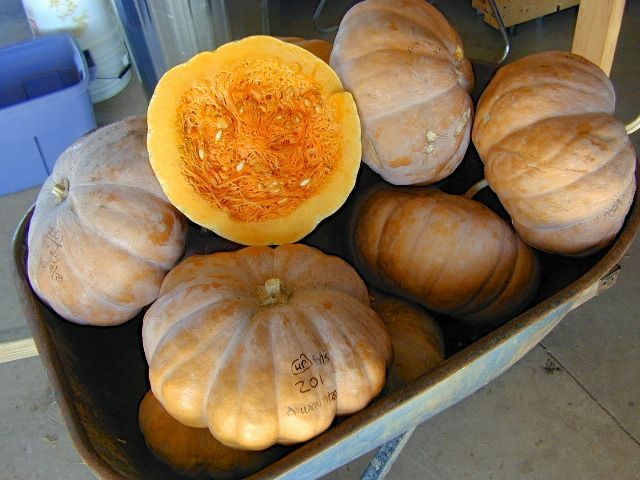 Inside, the light orange coloured flesh is firm, fairly moist and mild to medium sweet. 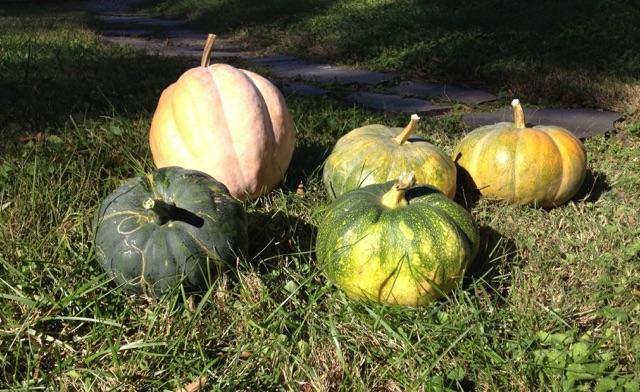 Harvest when fruit is changing colour (green to tan) and before frosts. Cut a long stem. Plant is 30' long with roots along the vines.